Damon MacNaught, proprietor of BareGlass, lives and works in Silver Point Tennessee as an artist and instructor of art. 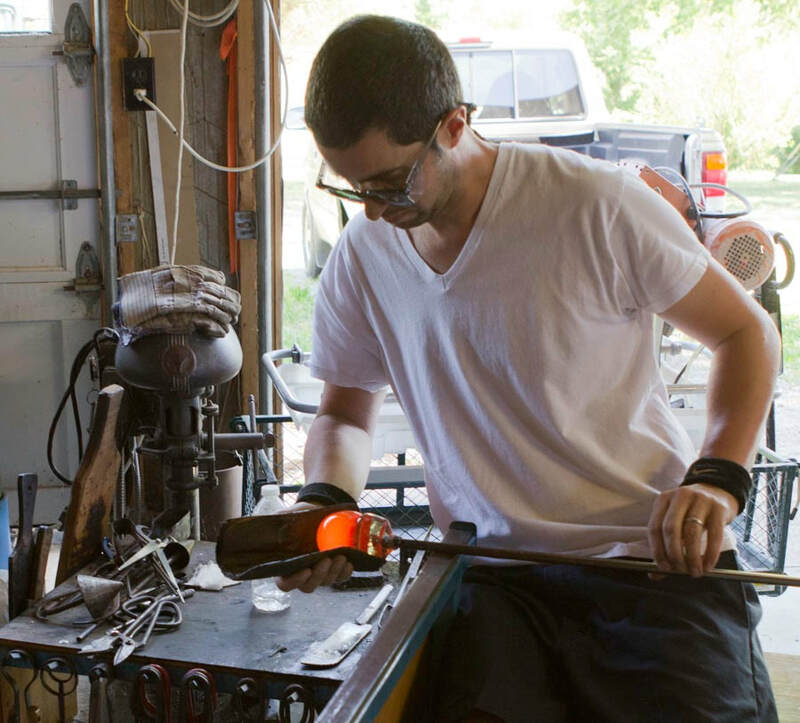 Specializing in one of a kind hand made glass, MacNaught has been practicing hot glass production for over two decades. He is currently teaches Art at Cumberland University. Damon received his Master of Fine Arts degree in Sculpture from the University of Illinois Urbana-Champaign and his Bachelors Degree from Hartwick College in Oneonta, New York. Established in 1998, Bareglass is located in the town of Silver Point in middle Tennessee, off of I-40 near Edgar Evans State Park and Center Hill Lake. His studio is 50 minutes outside of Nashville, TN. Come for a visit!